Driving past lake after lake as we crossed Ontario on my Canadian road trip last year, I’d spot the occasional log cabin, tucked between the trees and reflected in the water. Usually with a boat moored up and sometimes a hot tub alongside, they looked so tranquil that I couldn’t help feeling a pang of jealously as we headed to another campsite for the night. Maybe next time? But in the end I didn’t have to go nearly as far for my own luxurious log cabin experience. Just south of Cirencester, Log House Holidays seem to have transported a patch of Canada to the Cotswolds. Or perhaps it’s more Finland or Sweden? Whichever it is, arriving was like being transported to another world – even though was all of 35 minutes from home. The site stretches over 130 acres and when Anthony Edmondson bought it back in 1980, it was just a disused gravel pit. Since then he and his family have transformed it through years of hard work – planting over 44,000 trees and bringing life back to an abandoned industrial site. Now you’ll find rare plants, wildflowers, birds like kingfishers, nightingales and great crested grebe, 17 varieties of dragonfly and a family of otters. The project’s been so successful that the site was designated a Site of Special Scientific Interest in 1993. But it’s not all about the wild visitors, part of the project was always about making it a real countryside retreat, where visitors can escape the real world, switch off, relax, unwind and get back to nature. 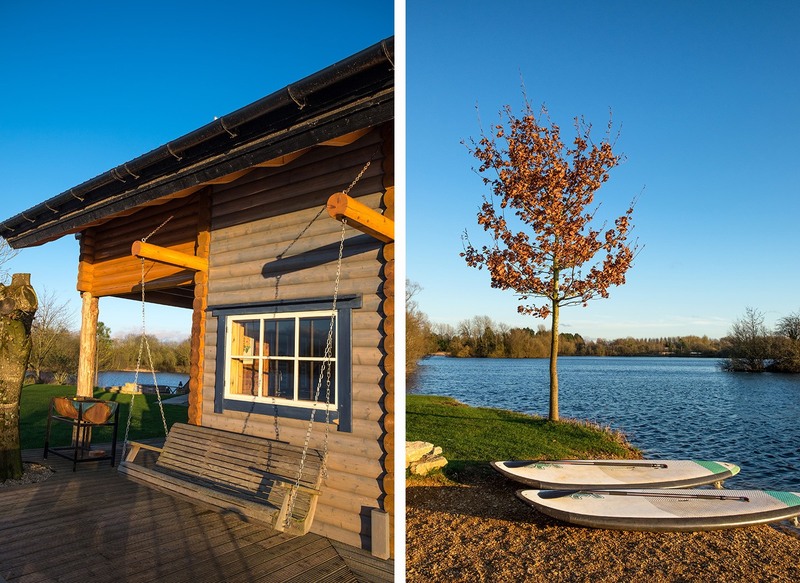 The site has eight cabins, which range in size from cosy four-person properties to our lavish 11-person pad, Mayo Landing, set on its own private island in the middle of the lake. The location might not really be Scandinavian, but the cabins are – they’re made from slow-growing Baltic pine from Finland. With their insulation and underfloor heating they’re built to withstand the full force of a -50 degree Nordic winter, so March in Gloucestershire was never going to be too much of a challenge. Everything’s done with one eye on the environmental impact too, so the heating and hot water comes from lake heat pumps, the electricity from their solar tracking station and the firewood from their own coppiced timber. Though there’s plenty of luxury too – each cabin has a hot tub and ours also came with its own sauna and swimming pool. We brought my parents, aunt and uncle and friends along, plus plenty of food (and even more wine) and set out to try holidaying at home. As we arrived onto the site on a Monday afternoon, we crossed the bridge onto our island (you don’t get to say that very often!) and pulled up just as the sun was setting, making everything glow in golden light. The first thing you notice is the quiet, and the space. 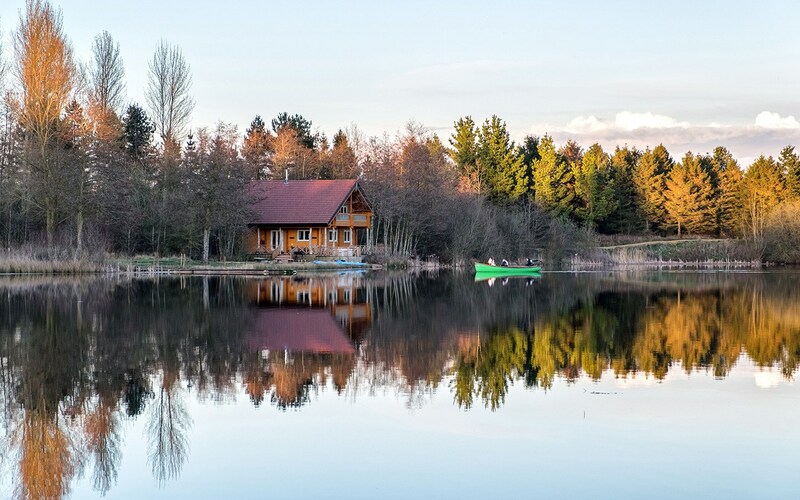 The owners have resisted the temptation to squeeze too many cabins in, so you have acres of room – most of the time you can only see one or two of the other cabins in the distance and we only really spotted any other guests when they were out in their boats. It all adds to the feeling of really getting away from everything. Mayo Landing sleeps 11, with a huge en-suite master bedroom with its own lounge and balcony on the first floor, along with two doubles (both with balconies), a single and a bathroom. Then downstairs there are two smaller doubles, a shower room, utility and a kitchen with open-plan lounge and dining room. So there’s plenty of space, and plenty of cosy nooks inside to curl up with a book, or outside to sit and soak up the views. 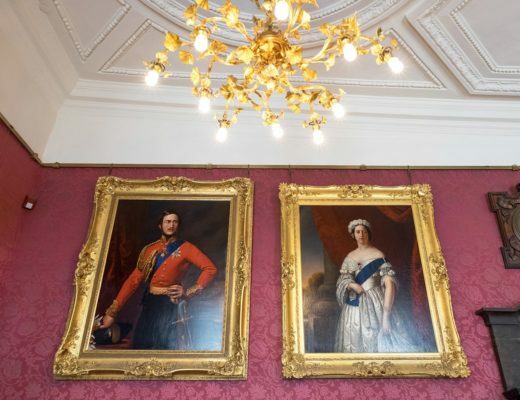 The appliances are modern but the furniture is antique, a real mix of grand country house wardrobes and tables, comfy leather armchairs, and a few quirky curios (like the Victorian bath chair in our bedroom). There’s something about wooden buildings that always feels cosy, helped by the woodburner in the lounge which we couldn’t resist lighting, even though it’s all so well-insulated we ended up in t-shirts. 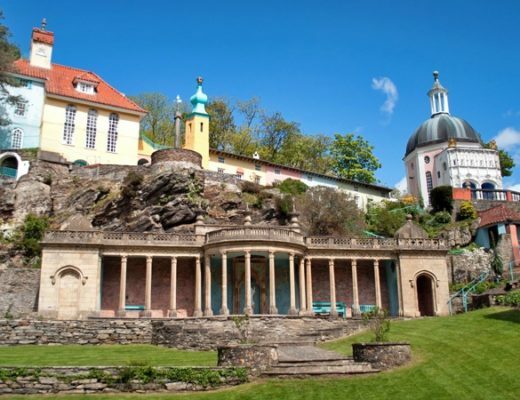 If you need to stock up on provisions, Cirencester’s four miles away – a historic Roman town with an amphitheatre and museum. Or a bit further afield are classic postcard-pretty Cotswold spots like Bourton on the Water, Burford and Chedworth. But after parking the car when we arrived, we didn’t bother moving it until we (begrudgingly) had to leave. Instead we spent most of our time on the site. There’s a 2.5-mile path running around the lake through trees and patches of wildflowers, plus the odd waterside swing and a rather spooky fort tucked away in the forest, complete with disembodied clay heads! You’ve also got your own rowing boat to head out on the water – and kayaks and paddleboards if you’re there in summer (or have brought a wetsuit/are a bit hardier than me). There are also bikes and the lake’s good for fishing. One day we did drag ourselves a bit further afield for a walk along the Thames. The source of the Thames is only four miles away from the lake, and you can follow the Thames Path all the way from there to London. That sounded a bit too energetic so we went for a slightly more sedate (if a bit muddy) walk along the path to the nearby village of Ewen and the Wild Duck Inn. It’s a proper old-fashioned pub that dates back to 1563 with a decor that mixes taxidermied animals and stern-looking portraits on the wall. But it’s actually owned by the same people who run a boutique hotel in Cheltenham, so we filled up on posh bar snacks like homemade Scotch eggs and a plates of charcuterie, before heading off again (via yet another pub). 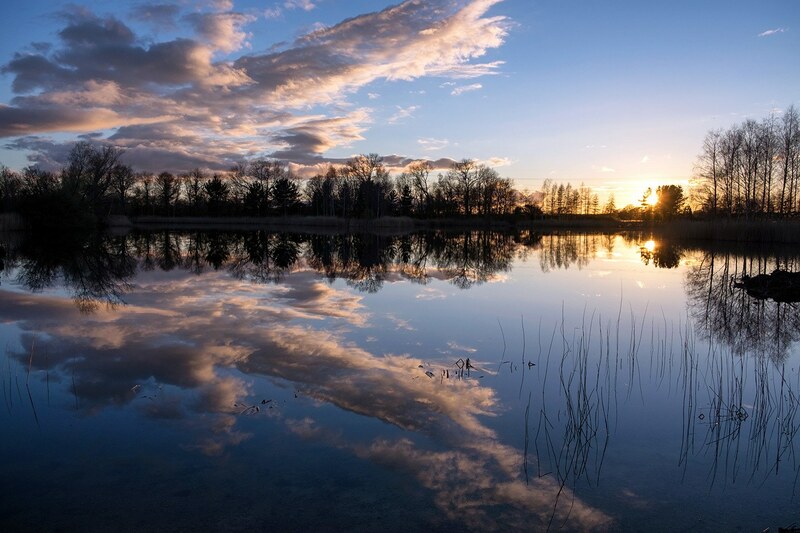 The lake’s the type of place you could have a totally different holiday at different times of year – cosy up by the fire or in the sauna in winter, or picnic and swim in the lake in summer. You can easily get into a routine, even in just a few days. Ours was a morning swim, a big cooked breakfast, a walk followed by lunch, a lazy afternoon reading, a few sunset drinks, then dinner followed by toasting marshmallows on the campfire. But my favourite bit of the day had to be the evening hot tub, glass of prosecco in hand. The water’s heated to a toasty 39 degrees and if you time it right and get a clear night you can sit in the steaming water and watch the sun set. Much as I love travelling, having no plane to catch, no queues and no multiple-hour transfers helped make this the most relaxing trip I’ve had in a long time – now when can I go back? 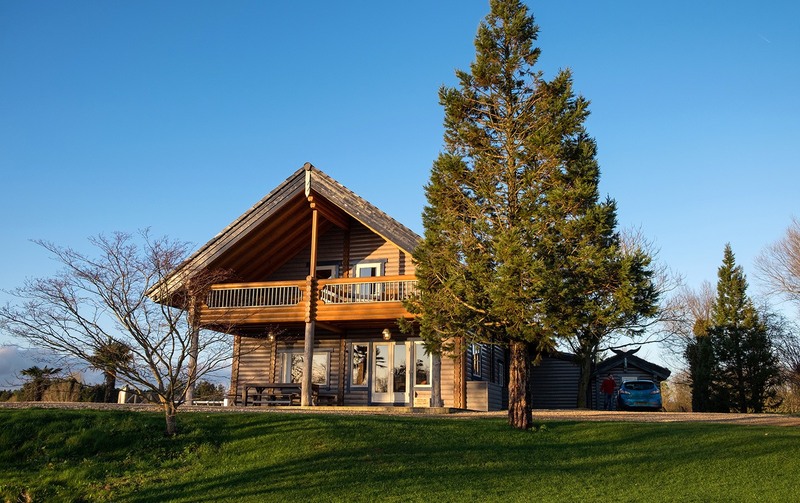 Log House Holidays’ eight cabins sleep from four to 11 people. You can book them for three-night weekend stays (Friday–Monday), four-night stays during the week (Monday–Friday) or full weeks (Friday–Friday). 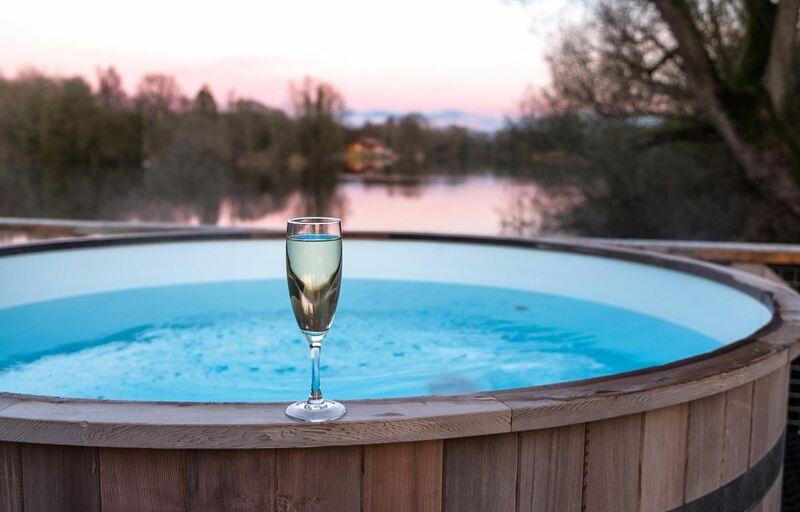 A four-night weekday stay at Mayo Landing for up to 11 people ranges from £1170 to £2560, with a small additional cost for the hot tub and pool, to hire kayaks and paddleboards, or bring your dog. Many thanks to Log House Holidays for hosting us. All views, opinions and my total love of the place are, as always, my own (in fact we liked it so much that we are going back next year!). Ohhh how utterly divine! I can’t even tell you how much I could do with this kind of break right now. I love log cabins…anywhere! Always have done, my alter-ego long since departed to the wilds of Canada, Grizzly Adams-stylie (but without the beard). 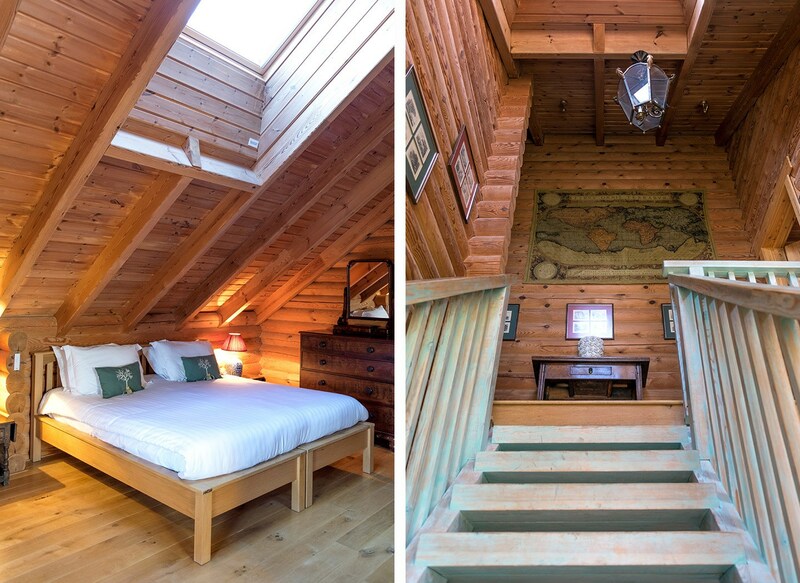 There is something so cosy about a log cabin! One of my more relaxing trips ever was in a log cabin in Colorado and this was so like it – just a bit closer to home. Ditto! I’d love to book this for my hen weekend but they look pretty much booked up. I might have to have it after the wedding as I now have my heart set on here. That is the only negative about the place – it’s too popular! What a beautiful place for a getaway! Thanks, it as so lovely! 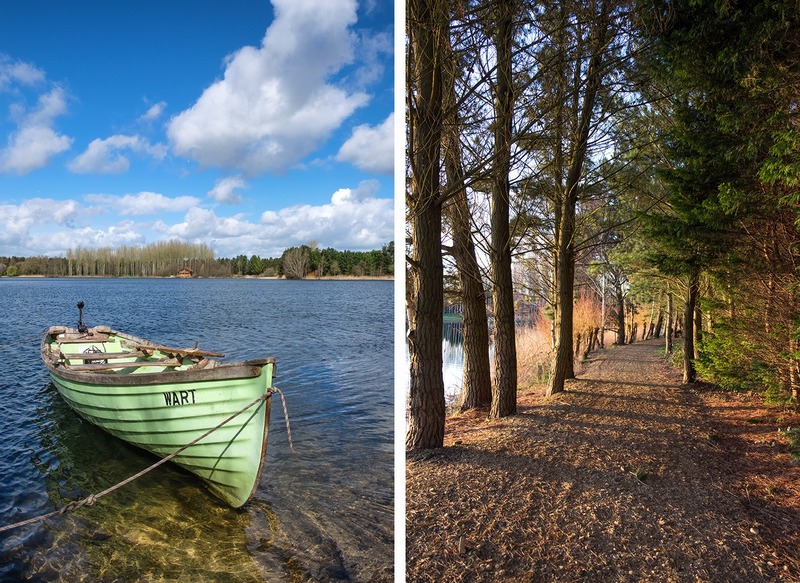 We go to the Cotswolds water park each June for our annual conference and I see the lakes trailing behind my boss on our morning runs (he tests me) and it is beautiful – I’d love just to be there for pleasure, not work and pain! I’ve never been to the water park either and it’s so close – may have to check it out next time! This looks beautiful. 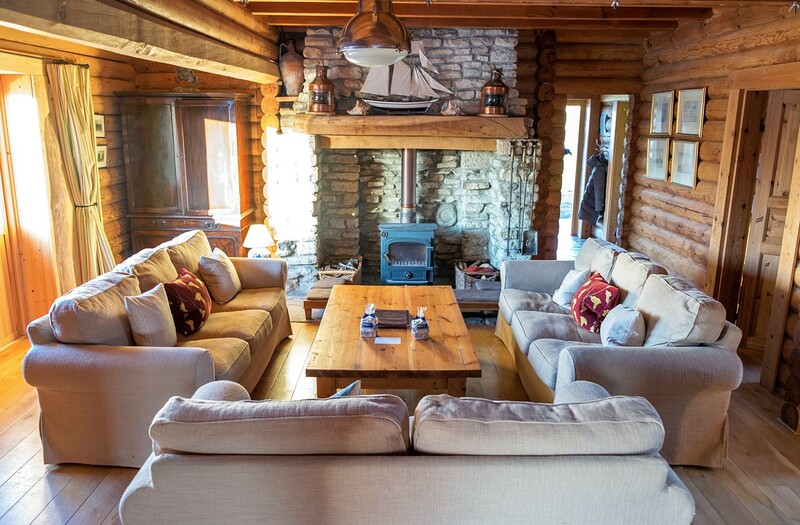 I’m a huge fan of log cabins and after a wonderful stay in Kielder I’m very keen to stay at more in the UK. This looks like the perfect little haven for rest and relaxation! It was such a relaxing place – a log cabin near the water is pretty much heaven for me too! 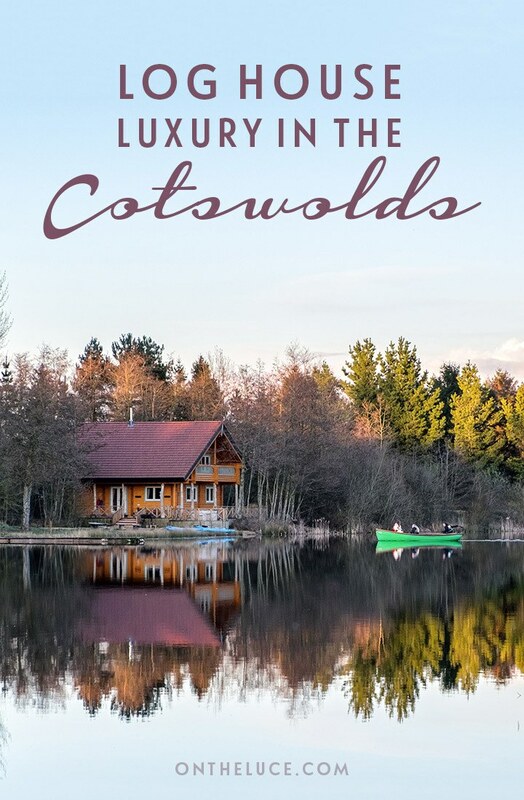 I HAVE to take my Canadian guy to this place – I am trying to show him that we can do whatever Canada can do, and I can’t think of an area more scenic than the Cotswolds to prove that – the log cabin and firepit are spot on! Sure he’d love it! It so reminded me of Canada it would be interesting to see what a real Canadian made of it! Thanks, it’s a gorgeous place! Ahh Lucy it sounds and looks absolutely incredible! 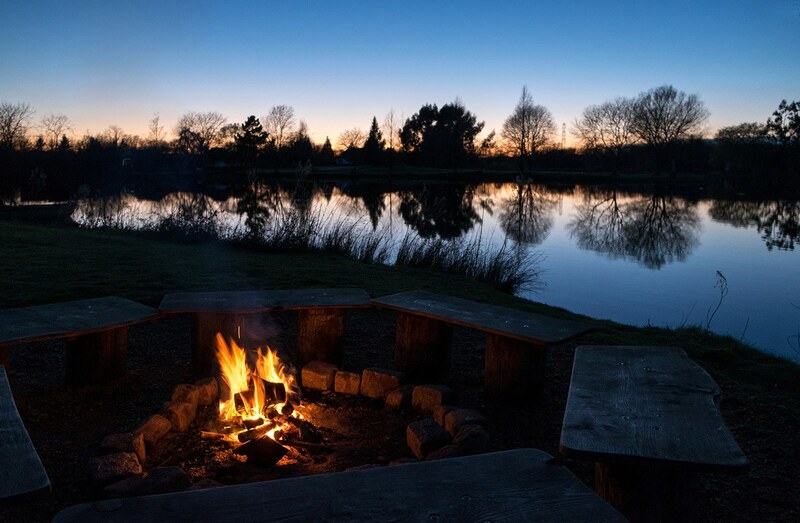 I love the sound of crossing over the bridge to your own private island and toasting marshmallows on the campfire ❤️❤️ So pleased to hear you all had a wonderful time. We loved it! 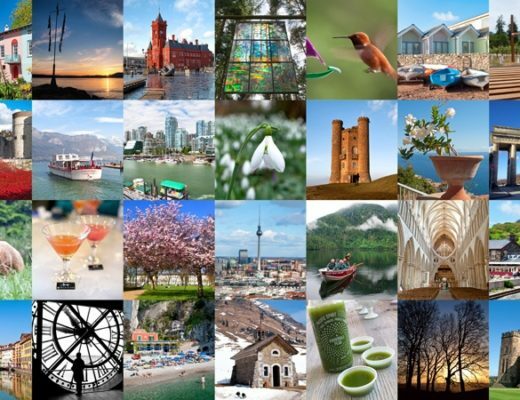 So hard to drag ourselves away and it felt like a real, relaxing holiday – the lack of travel involved definitely helped too! This look utterly fabulous! Wonderful that it can fit a lot of people in so great for a family break. I want to go now!! It would be so good for a family or group of friends! This sounds and looks amazing, and so close to home too! Love the sound of the hot tub, prosecco and toasted marshmallows. It was a pretty perfect way to spend an evening! I was confused at first with the mention of Canada, as my husband is from Ontario and we spent a good deal of time on the lakes near his family. Log House Holidays certainly had me fooled as to its location! What a lovely destination in the Cotswolds. Just goes to show you – Plop a luxury log cabin with all those wonderful amenities on a lake anywhere and we can be happy. It really reminded me of Ontario too after driving past so many lakes out there last summer! Gosh this brings back such happy memories. You capture it perfectly and your pics are delicious as always. I’m glad I got to see inside your cabin after converting it from across the lake! And I’m well jel that you’re going back in October!! I’d have loved to go and nose around the other cabins too! Gosh Lucy, that log cabin looks beautiful! Especially being near to the lake, absolutely gorgeous (as are your photos!). Thanks, it was such a gorgeous place, I had such trouble dragging myself away! Oh my goodness, this looks amazing, and there is actually somewhere that can accommodate the nine of us, which doesn’t happen very often! There’s so much space you’d be fine with nine! It was so lovely too, and such a gorgeous setting. Log House’ the word itself sounds amazing. I really love the vintage look of the place. It’s calm, beautiful and reminds me of old times. Walking along the Thames with the loved one can be very delightful. Thanks for sharing your experience of the beautiful Log House. Thanks, yes we had such a lovely break there and it was so relaxing, a real holiday! Wow how stunning. I adore your reflection photos. The interior looks as amazing as the exterior. Thanks, we got such a beautiful evening – and the house was lovely whatever the weather! So lovely isn’t it – I’d have sworn I’d been transported across the world rather than being in the Cotswolds! this is very ineresting to read, the pictures are great by the way, keep upp the good work, thank you for sharing this.